The NYC Department of Education needs to have an internal monitor, a Compliance Officer, who is NOT a prosecutor from 3020-a hearings. (3 DOE attorneys who prosecuted educators at 3020-a and did a terrible job, denying rights, are now "Compliance Officers" in the borroughs). A sane professional lawyer would be good. We the public need to know that rotten administrators who discriminate against anyone, of any age, are out of our city schools. period. 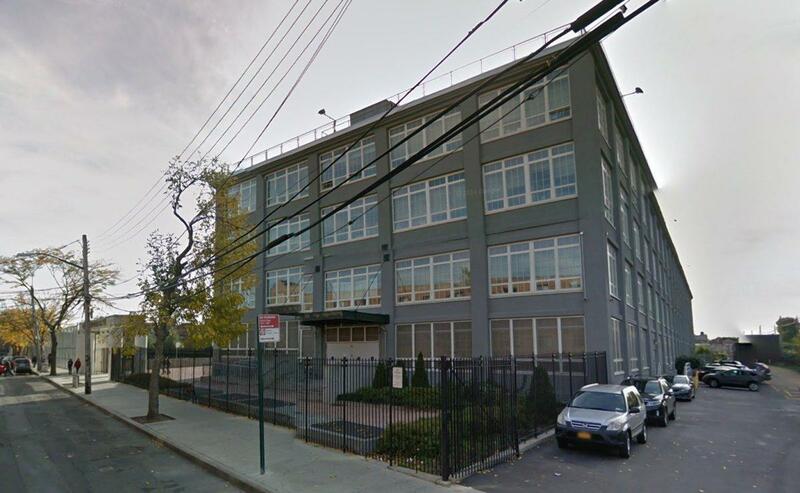 The Department of Education let the principal of a Queens high school “discriminate against every black teacher” and punished an administrator who spoke out against the racism, the Manhattan U.S. Attorney's office alleges in a new bombshell lawsuit Thursday. Minerva Zanca, who started working as principal of Pan American International High School in August 2012,"purposely targeted" two untenured black teachers by giving them unsatisfactory lesson ratings, according to the lawsuit. Worse, Zanca did so even before seeing their lessons, the suit charges. Zanca used slurs to describe these two teachers, John Flanagan and Heather Hightower, saying that Hightower “looked like a gorilla in a sweater” and asked Assistant Principal Anthony Riccardo if he had seen Flanagan's “big lips quivering” in a meeting, the suit says. 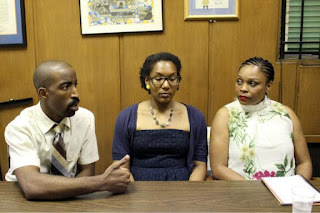 The principal also discriminated against Lisa-Erika James, a tenured black teacher. Zanca cut her "highly successful" theater program, claiming there wasn’t money to pay for a student production. There was money to cover overtime related to officials - so the production got canceled. Riccardo stood up to Zanca, refusing to give Hightower an unsatisfactory rating. In response, Zanca “yelled at Assistant Principal Riccardo, accused him of 'sabotaging her plan,' and called school security to have him removed from the building,” the suit says. She launched two complaints against Riccardo with the DOE - and the department found that her claims didn't merit any charges against him. Zanca gave Riccardo, Flanagan, and Hightower "unsatisfactory" annual performance ratings in June 2013, the suit claims. U.S. Attorney Preet Bharara’s office maintains that Superintendent Juan Mendez knew about allegations of discrimination and retaliation but that the department didn't to anything to discipline Zanca. "Even after the United States Equal Employment Opportunity Commission found reasonable cause to believe that the DOE had discriminated and retaliated against James, Riccardo, and Hightower, Principal Zanca was allowed to remain in charge of Pan American," Bharara's office says. 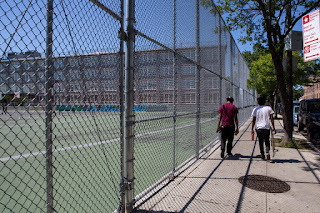 Hightower, Flanagan, James, and Riccardo left Pan American after the 2012-2013 school year. Zanca is no longer Pan American's principal, but her employment status in the DOE is unclear. The DOE did not immediately comment on the allegations. The city Law Department said: "We are reviewing the complaint." 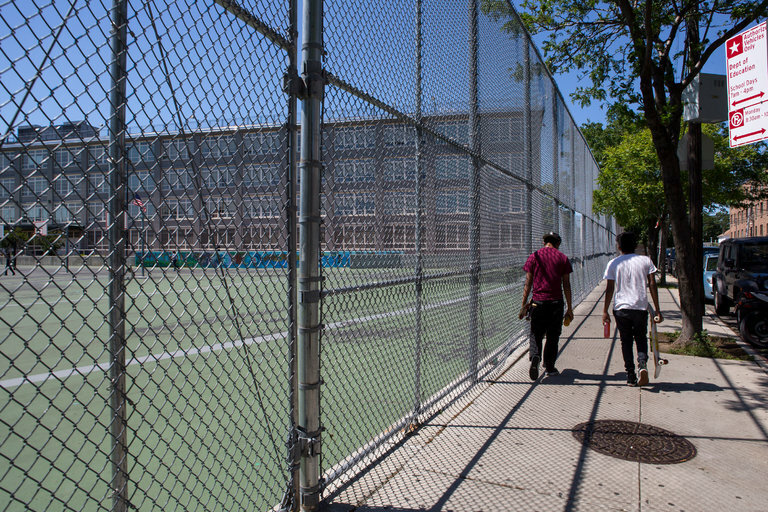 Zanca compared one of the school's black teachers to "a gorilla in a sweater"
School," Bharara said in a statement Thursday. the goal of having them removed from their jobs. 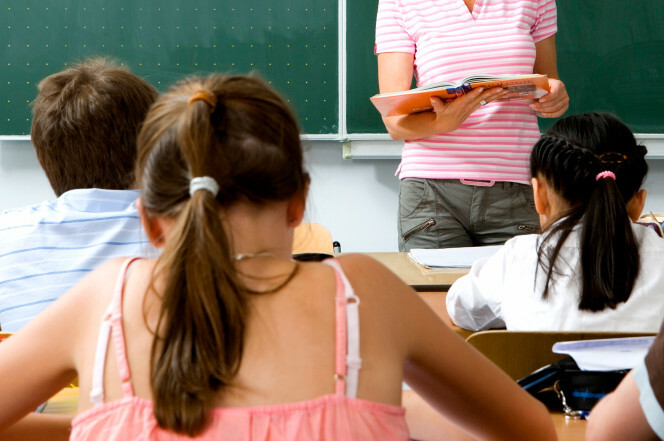 never have “nappy hair” like the teacher, the lawsuit says. At another point, the lawsuit said, Ms. Zanca said to Mr.
that during the 2012-13 school year, when it says the discrimination occurred, the school had a total of 27 teachers. Three of the teachers were black, the suit notes. often in housing cases, a federal official said. Equal Employment Opportunity Commission. Later, Mr.
the suit was under review. immediately respond to a message seeking comment. qualified teachers,” Ms. Shnayder said. about their kids — and was caught when she misspelled a mother’s name. 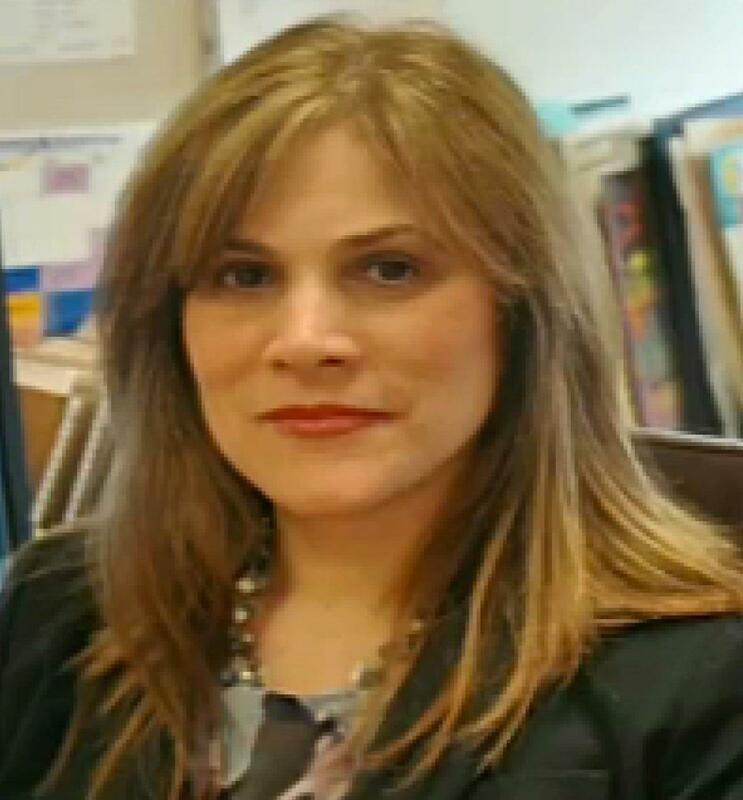 Bronx preschool administrator Martha Vazquez was tasked with setting up individualized education programs, or IEPs, for special-education students, said the schools’ Special Commissioner of Investigation. As part of that process, administrators and teachers are required to meet with parents to discuss the personalized curriculums. After realizing that IEPs for two students were set to expire late last year, Vazquez forged their parents’signatures to make it look like the required sit-downs took place, the SCI said. Upon seeing her name misspelled, one fuming parent confronted Vazquez, who claimed she was permitted to forge parental signatures if they participated in the meetings on the phone. But the parent also denies taking part in a phone meeting. The DOE said Vazquez, who could not be reached for comment, will be disciplined. WHY DID BILL DE BLASIO APPOINT CARMEN FARINA if he did not want DOE administrators to lie, cheat and steal?